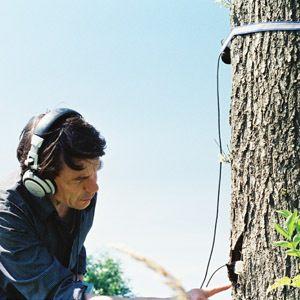 Justin Bennett will present the lecture Walking, Telling, Listening – audio walks at the Locus Sonus Symposium #8 Audio Mobility in Aix en Provence, France from 16-18 April. The form of the audio walk seems ideally suited for artists wanting to work with, and in, public space. Using radios, CDs, iPods, or mobile phones, Bennett’s audio walks weave narrative through their locations while exploring the specific acoustic environment and the physical structure of the city. In this talk he will describe the differing formal, aesthetic and technical approaches referring to a number of works from 1997 to the present. If a system capable of generating and capturing audio can share a user’s mobility, is the status of that audio changed? Can there be new forms of audio art that result from mobility? Matthieu Saladin, Peter Sinclair, Dom Schlienger, Jessica Thomson, Aline Veillat.